Dynamic brain functional parcellation is an important way to reveal the dynamics of brain function. However, current dynamic brain functional parcellation methods can not meet the need to clearly understand the dynamics. 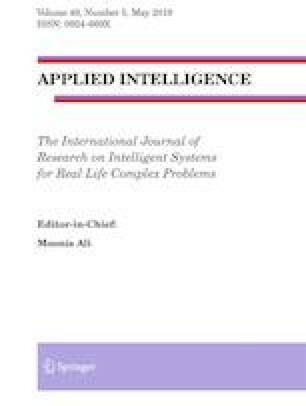 This paper presents a dynamic brain functional parcellation method based on sliding window and artificial bee colony (ABC) algorithm (called SWABC). In SWABC, a functional connectivity similarity minimum criterion (FCSMC) is firstly developed for determining the length of a sliding window and functional connectivity matrices are calculated with Pearson correlation and windowed time series of voxels. Then, an improved ABC is employed to identify functional states through clustering these matrices, where a hybrid search strategy and a dynamic radius constraint are respectively designed for employed bee search and scout bee search to enhance the search capability of ABC. Next, functional connectivity between voxels in each functional state is computed by concatenating time series belonging to the same state, and functional parcellation results for all functional states are achieved by performing the improved ABC. Finally, with comparison to other four algorithms, the experimental results on fMRI data of posterior cingulate cortex show that SWABC not only has better search capability, but also can yield reasonable functional states and corresponding functional parcellation results with stronger functional consistency and regional continuity. Moreover, the rationality of functional parcellation results from SWABC is also verified by functional connectivity fingerprints of subregions in each of them. The work is partly supported by the NSFC Research Program (61672065), Henan Science and Technology Project (142102210588).